Mariana Rufino is Professor of Agricultural Systems al Lancaster University, and one of twelve chairs of the HEFCE-funded N8 Agri-food programme, a partnership between eight Northern England Universities. She leads interdisciplinary research in Sub-Saharan Africa dealing with production challenges and environmental impacts of agriculture. She made a significant contribution to new global assessments of the environmental impacts of agriculture and livestock production. Previously, she worked for the Centre for International Forestry Research (CIFOR), where she led the Climate Change Agriculture and Food Security (CCAFS) programme. Mariana held positions at Wageningen University and the International Livestock Research Institute (ILRI), based in Kenya. 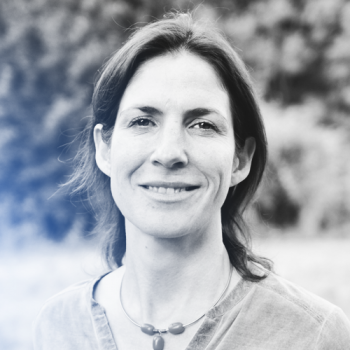 Her work on carbon and nitrogen cycles at field, farm and landscape levels aims to quantify how land use change relates to food insecurity, incomes and environmental problems such as water scarcity. She collaborates with scientists from several international institutions, and with the private sector (tea and dairy farming in Kenya and Tanzania and the leading Argentine farmers association AACREA).